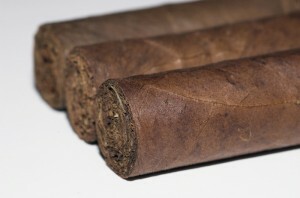 Everyone wants a Cuban cigar, and everyone knows that they are illegal in the United States. So unless you want to get charged for bringing in contraband, you cannot really enjoy the real deal. Now what if I were to tell you that you have an alternative? I just heard of a new product from USACIG, Inc. and Hop-on, Inc. dubbed “The Electric Cuban Cigar(TM).” I am sure youâ€™re heard of similar products before â€“ we have even featured electric cigars in the past. The big difference that this new product offers is that it is supposed to taste just like Havana Hand Rolled Cigars. For $199, I am not sure I am willing to chance it and get disappointed. Would you give this a try? Cigar smoking is enjoying a resurgence â€“ a renaissance if you will. With the strong and decisive efforts of many different groups to stamp out cigarette smoking all over the world most people have started seeing cigars and smoking them in a completely new light. With the way cigar is supposed to be smoked (donâ€™t inhale it!) more and more people are beginning to appreciate cigars and even the art of smoking them. Yuppies and young adults are rediscovering the unique set of experiences that cigar smoking brings to the table. Since these new fans of cigars are part of the new generation, they are using the tools that they are familiar with to further deepen their knowledge about cigars. They are now using online resources in order to learn about the anything and everything cigar related. There are even those who have joined forum sites in order to touch base with other cigar aficionados from all over the world. Who said traditions canâ€™t be modernized? Care For A Nicotine-Free Cigar? 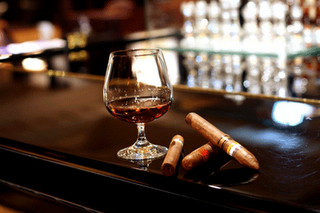 Let me ask you this â€“ what is the main reason that you like smoking cigars? I cannot answer for you but if you were to ask me this question, I would probably say the flavor and the overall experience. I doubt that anyone would say that they smoke cigars because they want the nicotine. Ruyan America, Inc. announced today that it will introduce the new Ruyan Vegas(R) Freestyle E-cigar at the 76th annual International Premium Cigar & Pipe Retailers Association tradeshow to be held in Las Vegas July 14 to July 17. Like the Company’s Ruyan Vegas(R) Classic, the Ruyan Vegas(R) Freestyle looks and feels like a premium cigar, nearly six inches in length, but the Freestyle, unlike the Classic, contains no nicotine. I doubt that cigar aficionados would go for these E-cigars just yet but I do think that they can have a potentially huge market. What do you think?